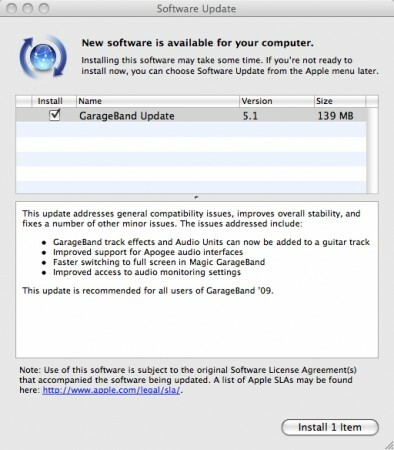 GarageBand was updated to version 5.1. The update “addresses general compatibility issues, improves overall stability, and fixes a number of other minor issues”. It also includes a security update. The update is available from Apple Software Update or can be downloaded directly from Apple’s site. Wow. Thank you for such a informative text!! It is so good!